This fall, 70 new interpretive signs were installed throughout the 25-county Blue Ridge National Heritage Area to help visitors absorb the cultural traditions of the state’s mountain area. The 11,000-square-mile BRNHA is one of 48 designated national heritage areas across the country tasked with protecting the natural, historic, cultural, and scenic resources of places with meaningful historic value. “The signs tell the story of the history, the heritage, and the culture of the region,” says Jill Jones, BRNHA director of marketing and communications. While each sign is about a specific place or event, together they connect to form a narrative that chronicles the Blue Ridge Mountains’ remarkable culture and deep-rooted traditions, from string music to the influence of the Cherokee. 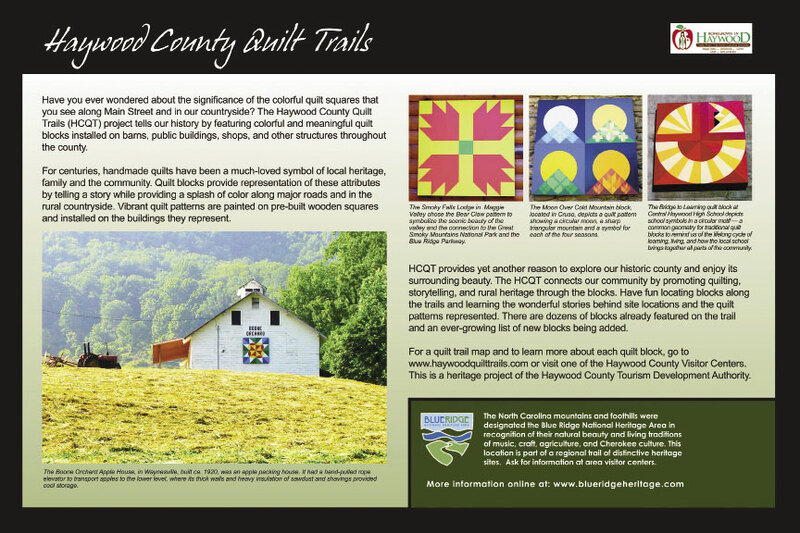 Visit www.blueridgeheritage.com to see maps and other information regarding the BRNHA.